We added this picturesque two car garage and sunroom to a 1930s period revival house in the Ravenna neighborhood of Seattle. 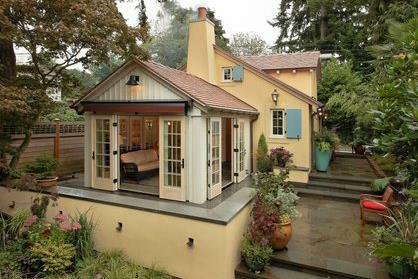 The garden room became a backyard retreat. 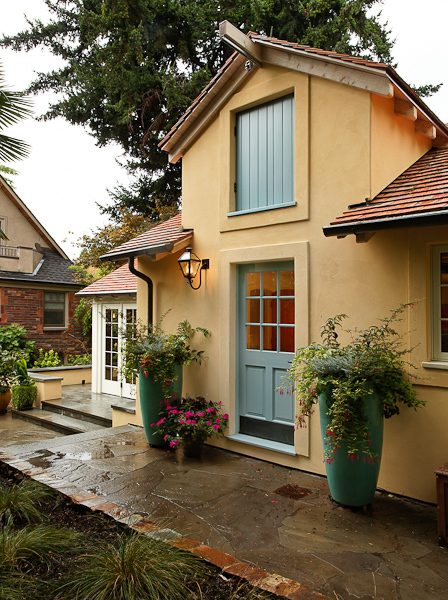 New stone terraces step with natural grade, linking the house to gardens, "cottage" and alley. 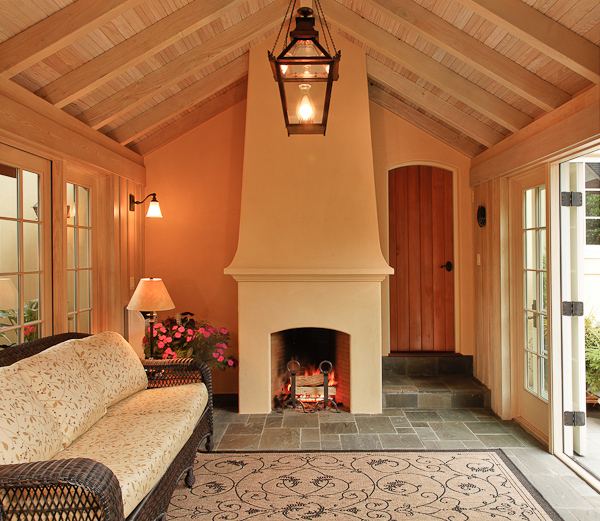 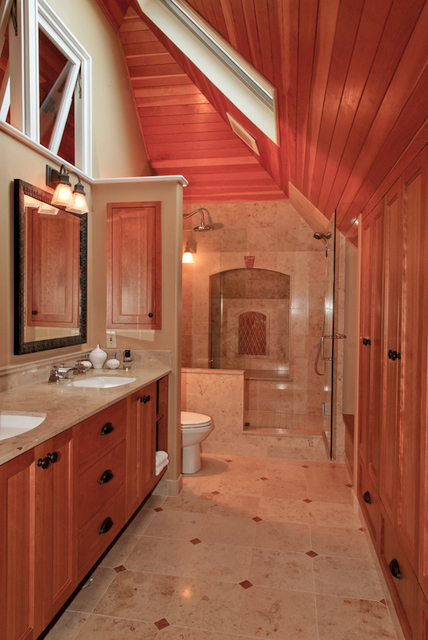 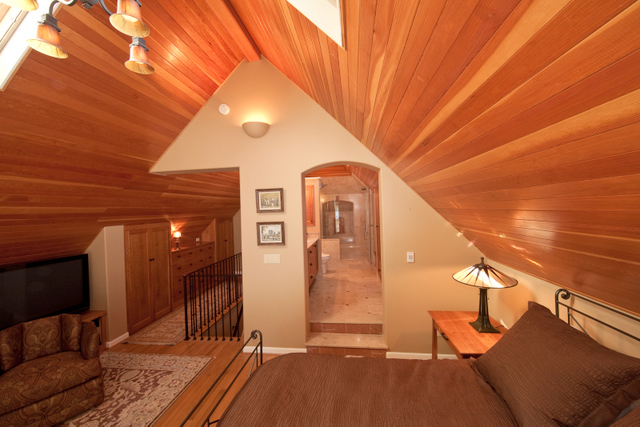 We also built within the main house a new master suite in former attic space.